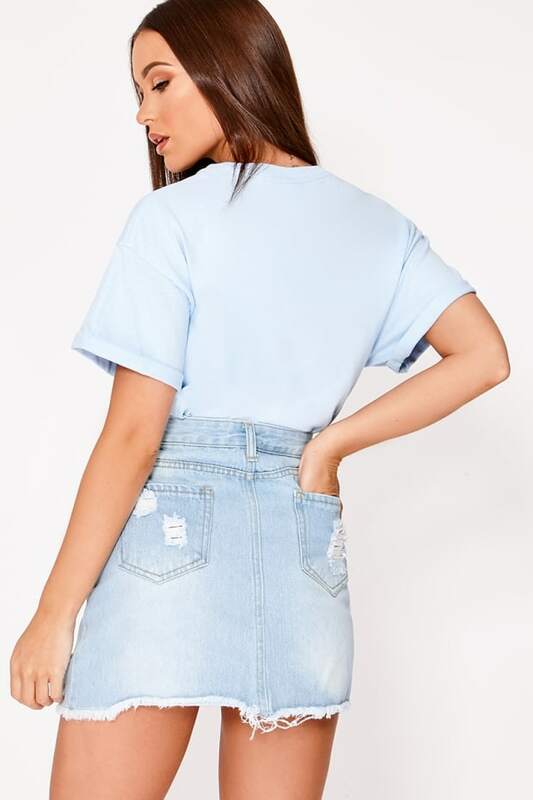 Take your denim collection up a few levels with this high waisted mini skirt! 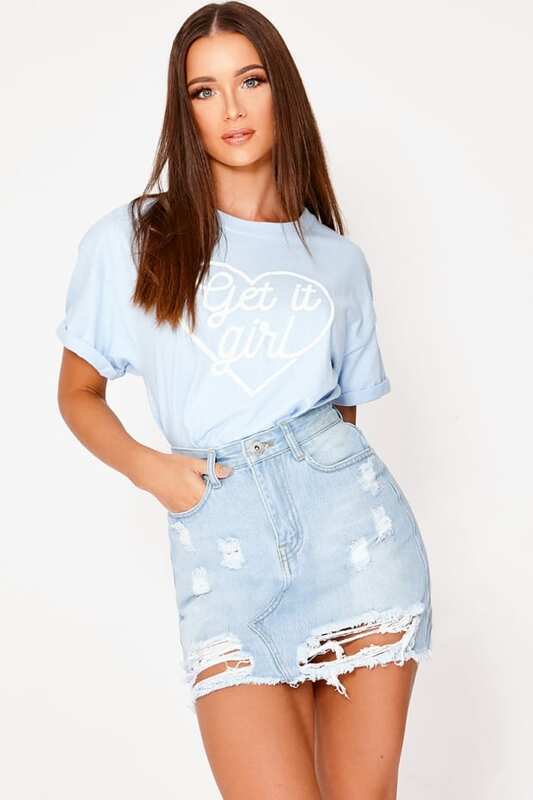 In a beaut light blue wash featuring cool distressed detail and frayed hem, this is a styling staple! 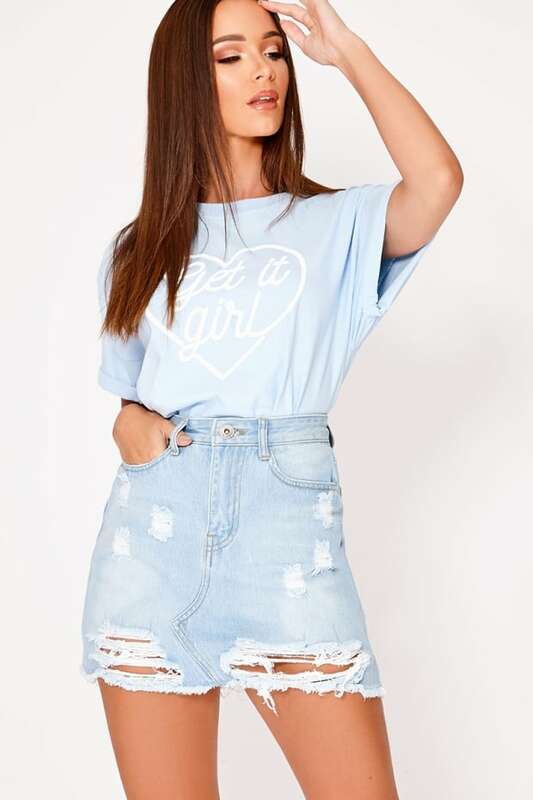 Go for a basic tee and sliders for the perfect daytime outfit.